The most joyous days at Megan’s House are those featuring the graduation of a resident. The ceremonies consist largely of the graduate, fellow residents, staff and Foundation members sharing their thoughts on the journey, but they all begin with the graduate reading her story to the group. 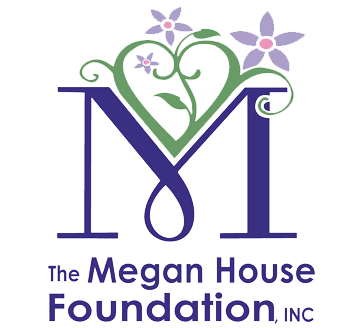 Recently, a young woman named Becka celebrated her big day and read one of the most eloquent, emotional and inspirational stories we have heard in the two plus years Megan’s House has been open. To truly understannd what the transformation these young women undergo during their time in the program, we thought you should read it. I was lucky to grow up in a good home that was filled with love and support. I was lucky to be able to attend good schools and I was afforded the opportunity to grow and enrich my life thanks to my family. 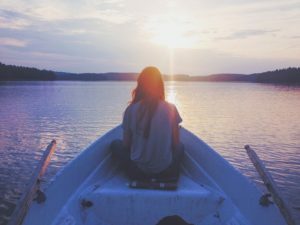 I was given everything I needed to be the best person possible, but I always had some internal sickness that drove me to find an escape. Imagine living every day as if you are different from every other person you encounter. Though you may look and sound like everyone else, there is always a part of you whispering in your ear that the person you fundamentally are is wrong and bad. Imagine growing up as a child knowing that no matter how much your family loves you, that you are unlovable. Imagine being so uncomfortable in your own skin that you would rather be anybody but you. Imagine hating yourself so badly because you just know that you aren’t good enough, that you would do anything to escape the pain in your head. And then imagine that you find relief, for the first time in your life, and you can breathe. There’s no reason to cry. The voices in your head are quiet. You finally feel OK in your own skin. That one time was all it took and there was no turning back. If I didn’t like myself before, I couldn’t bear myself then. And so started a cycle of drug-induced hysteria that absolutely consumed me for the better part of 14-years. With each day that passed, a larger part of me died and in its absence my disease and that same inner sickness flourished. I was a shameful person. The morals and values my family and community instilled in me were gone. I cared for nothing and nobody. I was a vacuous shell of a person. 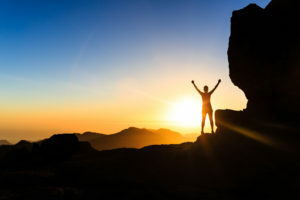 The only thing I achieved from the onset of my addiction was that I did not contract any diseases or overdose and die. Even that I barely managed. I have overdosed more times than I can count and put myself in countless situations from which I should not have survived. I have been arrested. I have robbed and stolen. I have intentionally harmed others. I have suffered. But more importantly, I have caused those who share my name to suffer. My life was a tornado and I uprooted anything and everything that I touched. Two years ago, I moved from Pittsburgh, Pennsylvania. My family kindly took me in and I thanked them by ruining their lives and stealing their peace. This went on for a year and a half, 18-months, 78-weeks, 547-days. How they didn’t give up on me, resign themselves to the fact their daughter was going to die, I do not know. I will forever be grateful to them for that. My life was getting worse every day and the horrors I saw I wish that I could forget. Eventually, I was so exhausted, absolutely spent, that I called my mother and begged her for a place to stay the night and a ride to detox. Luckily, they said yes. February 25th was the start of my journey and the last day I got high. I didn’t know where that phone call to my parents would lead me, but I’m so grateful for where I’ve ended up. My transition from streets to Megan’s House was not easy. I was angry and sad, dealing with issues of severe trauma from my past. I had a temper and was standoffish, anxious and angry. I got in trouble and I thought about leaving a few times. I wanted to get high. Somehow, the days turned into weeks, the weeks turned into months and I found myself standing on the other side. I made it through the pain and the fear to be a woman today. I am not always perfect, but I try. The girls, each and every one that’s hear and the ones that have left, have been my friends and my sisters. The staff have been a source of support that is invaluable to my growth. This building has become my new home. The things I have in my life and everything down the road is due in large part to Megan’s House. I would not be the person I am today had I not walked through these doors. Even in my worst moments, I have had Megan’s House, the staff and the girls to love me when I did not love myself. That internal sickness is becoming smaller every day. I have a job I love, a family I love, a group of women I love and a sponsor I love. Finally, I am able to love myself.